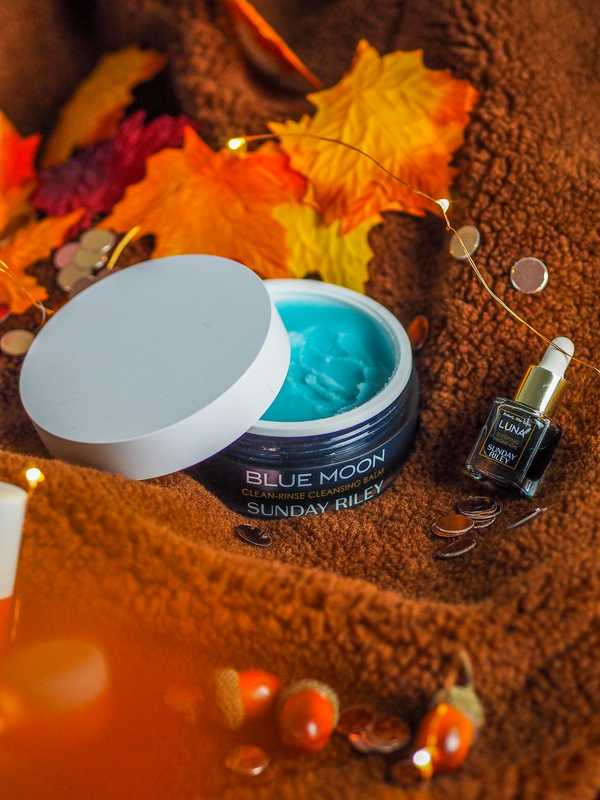 A while back I was kindly gifted the Sunday Riley Glossybox, full of samples from Sunday Riley skincare, as well as their full-sized Blue Moon Cleansing Balm. Since then I’ve been testing out these products and being the only full-sized product from the box I figured I’d write up a review of it now I’ve got a good feel of the product. I’m a cleansing gal balm, I’ve tried the Pixi balm, and my all-time favourite – the Clinique cleansing balm. 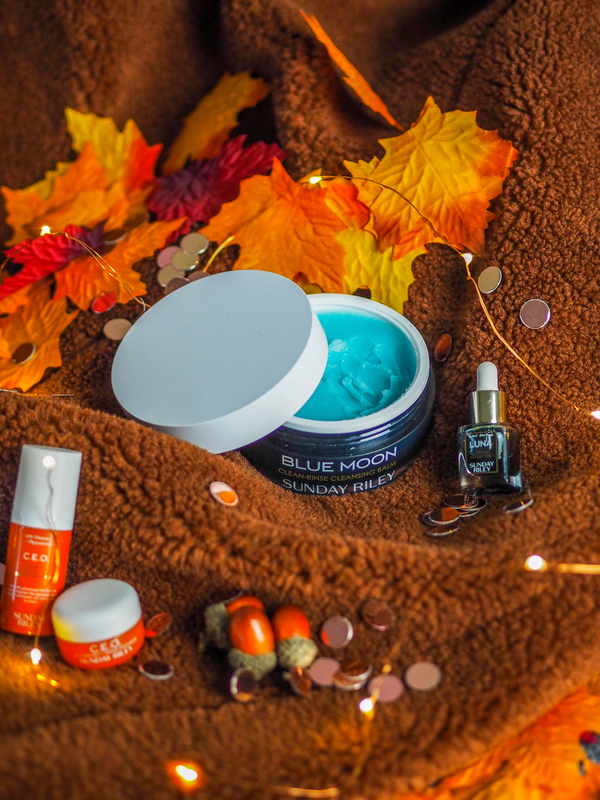 What I love about balms is how gently it removes makeup, the fact it doesn’t require any cotton pads and therefore waste, and just how much more nourishing it feels for your skin. I’ve been using the Sunday Riley Cleansing Balm daily to remove my make-up for a few weeks now. I scoop a 5p-sized amount out, warm it up in between my hands and massage it over my face, usually while in the shower, and rub it off with a cloth. My initial thoughts on the texture of the balm are that it’s not my favourite. It’s similar to the Pixi cleansing balm in that it’s got a grainier texture, and takes a while to warm up too. The reason why the Clinique balm is top in my eyes is because it seems a lot oilier and melts away a lot sooner. The scent, however, is an absolute dream. Think spa and massages – this is what this balm reminds me of. It feels luxurious, certainly something I look for in a high-end product. In terms of results, it did a good job of removing my makeup on the whole but struggled with my eye makeup. Because of its grainier texture, it can make it a lot harder to massage into such a delicate area, and I find myself with panda eyes quite often! A second cleanse is sometimes necessary with this. Other than that though, it leaves my skin feeling mostly clean and smooth after use. Overall, I do love this cleansing balm, but for the price (£46), I can’t help but think I’d rather go for the Clinique balm, which for me is a much gentler, better alternative to makeup removing, and half the price! Have you ever tried any Sunday Riley products? What would you suggest I tried next?